The Seagulls manager was not happy with the defense of his side on the reigning title winners' goals. 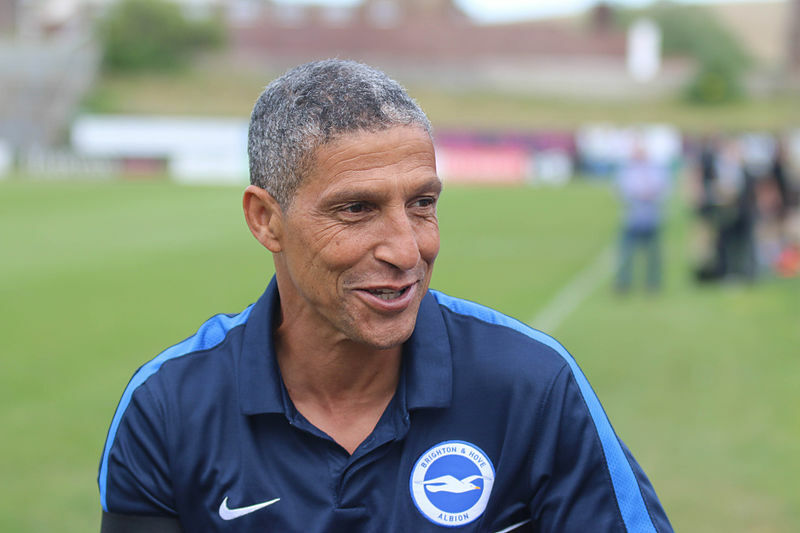 Brighton & Hove Albion manager Chris Hughton was accepting of the quality of Manchester City's counter attacking play, but couldn't hide his disappointment in the second goal conceded by the Seagulls in a 2-0 defeat to the champions. The manager opened his post-match conference by saying “It’s always very difficult, as they’re going to have the bulk of possession and you know the quality they have. If you give them space and time, they can hurt you. “But I thought we were in the game for long periods. There isn’t a team outside of the top six that comes here without having a defensive strategy. The two goals that we conceded were poor goals." 2nd City goal was "defendable"
Raheem Sterling finished off a quick move in the opening half to give City the lead, but Hughton felt more could have been done to prevent Sergio Aguero's strike after halftime which gave the Citizens a 2-0 lead. “The two goals that we conceded were poor goals. The first one was a really good counter-attack and that can happen. People will look at the quality of the second goal, but it was defendable. It appeared the Seagulls had a penalty argument when the ball struck Fernandinho on the arm, but the referee waved away their appeals in the closing stages. Hughton gave his thoughts on the matter. “My opinion is that it was a penalty. It definitely hits his hand inside the box, and probably any frustrations I have are because of the penalty last week. With nine games to play before another meeting with a side from last year's top six, the gaffer is looking for his club to gain a bit of momentum. “You do have to take that into perspective. We’ve played four of last season’s top six and our first game was away to Watford, and they’ve started the season really well. “We now go into a series of games which are against non-top-six teams, and that’s where we have to pick up points. This is probably going to be the most valuable part of our season.